Regular readers might notice a bit of a theme in some of my street style spots. 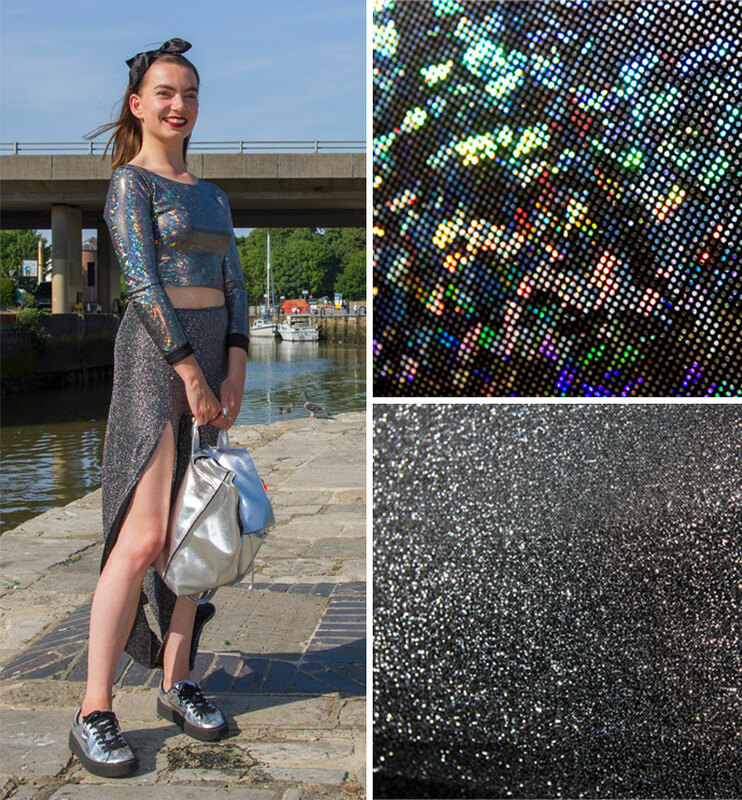 Holographic fabrics, shiny metallic accessories and silver jewellery – so far, so magpie! 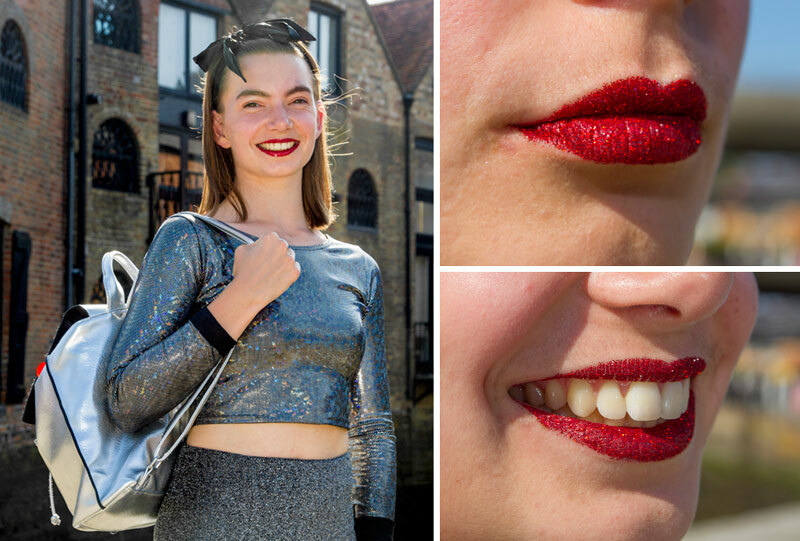 Nineteen-year-old Dayita was in Newport on her way to Quay Arts when she caught my eye with her dazzling attire. Sparkly! I like to dress up most days and I love silver hologram stuff. These sparkly lurex ‘Faro’ trousers with front splits are by Ann Summers. I’m also wearing an iridescent foil-print long-sleeve crop top. My shoes were from Selfridges. I like Boohoo for playsuits and jumpsuits. Locally I shop at H&M, plus Claire’s for hair accessories and glitter stuff. Top Shop is a bit too mainstream – I try not to buy what everyone has. You’ve got a fab array of rings there. I don’t like gold – silver is my colour. The rectangular ring is from the Tate Gallery. 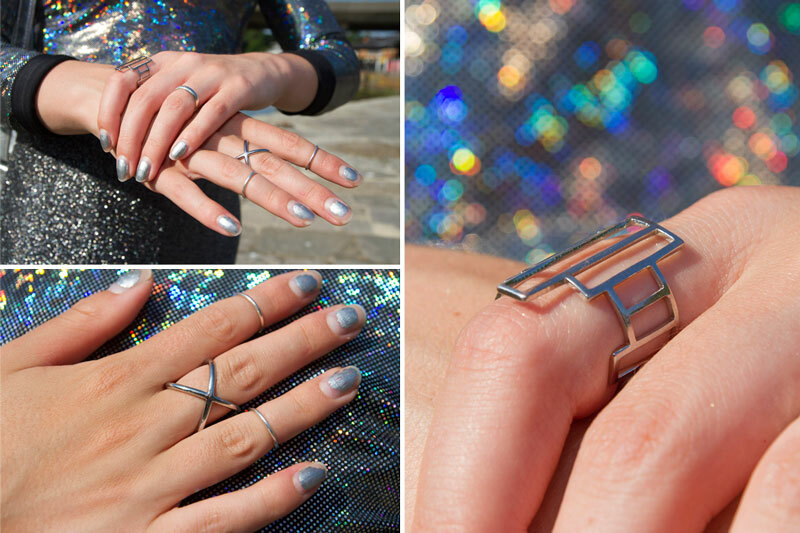 These silver midi rings are actually hair rings. Nice to see you’re continuing the silver metallics theme with your bag and trainers. These mirror-finish silver sneakers are by Puma and my metallic bag is Primark. I also have your silver geometric bag! Your lipstick is so twinkly! I love my glitter lips; I wear them most days. It’s a bit gritty but I’m used to it. At first glance it seems conventional but then you get the glitter sparkle. 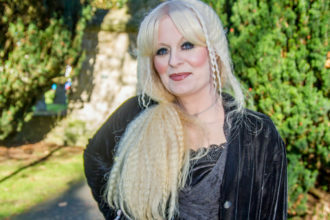 It’s practically stage wear; not surprising as I’m a qualified dance teacher, and a performer and singer – in fact I launched my music the other day. Thanks Dayita! Find out more about Dayita’s music on her Facebook page. 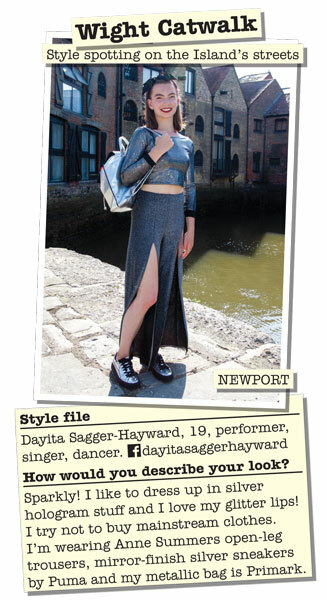 Dayita Sagger-Hayward featured as a Wight Catwalk street style spot in the Isle of Wight County Press. Photography by Steven Collins.